Located in Hakodate, Bourou NOGUCHI Hakodate Ryokan is a 3-minute walk from Yunokawa Hot Spring and 8 minutes by foot from Yunokawa Onsen. 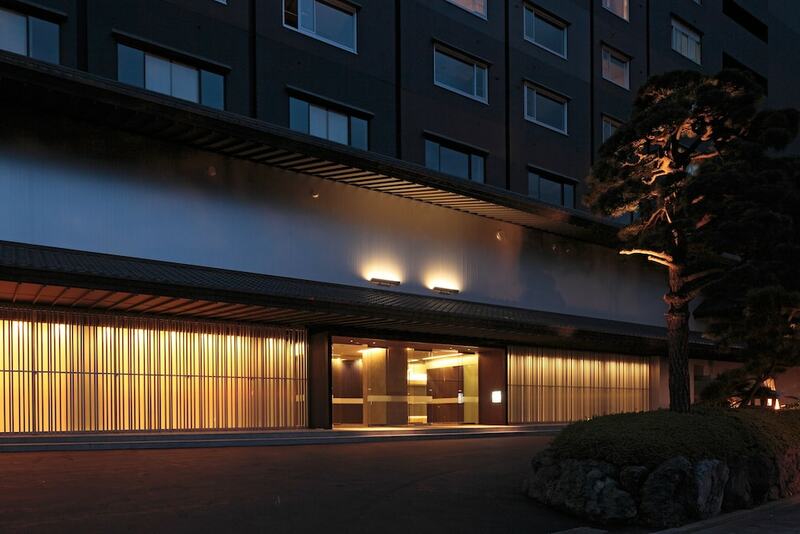 This 4.5-star hotel is 0.8 mi (1.2 km) from Hakodate Racecourse and 2.2 mi (3.5 km) from Fort Goryokaku. Make yourself at home in one of the 79 air-conditioned rooms featuring DVD players and flat-screen televisions. Complimentary wireless Internet access is available to keep you connected. Private bathrooms with showers feature complimentary toiletries and bathrobes. Conveniences include desks and separate sitting areas, and housekeeping is provided daily. Relax and unwind with body treatments and facials. Additional features at this hotel include complimentary wireless Internet access, concierge services, and shopping on site. Enjoy Japanese cuisine at Chikurin, one of the hotel's many dining establishments, which include 4 restaurants and 2 coffee shops/cafés. Relax with a refreshing drink at one of the 2 bars/lounges. Local cuisine breakfasts are available daily from 7:00 AM to 9:30 AM for a fee.